Located in Northern Canada, the Northwest Territories are comprised of 519,734 square miles of land and over 43,500 residents. It’s been part of the Canadian Confederation since 1870, and it once included the land that would later be subdivided into the territory of Nunavut. 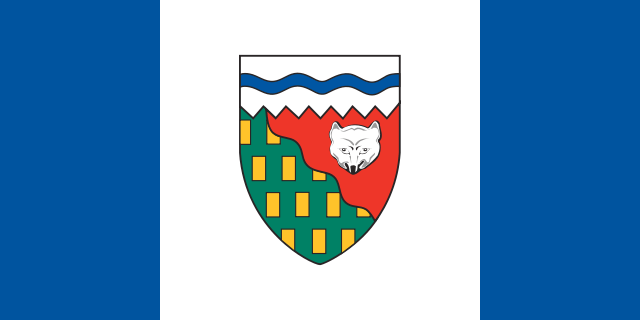 The current capital of the Northwest Territories is Yellowknife, and it’d held that distinction since 1967. Aboriginal people make up the majority of the population, although other ethnic groups in the region include English, Canadian, Irish, Scottish, French, German, and Ukrainian. The region also has a wide array of official languages, which include the following: Cree, French, English, South Slavey, Dogrib, North Slavey, Inuvialuktun, Inuktitut, Inuinnaqtun, Gwich’in, and Chipewyan. Northwest Territories sports betting is legal, and the same applies to bingo and the lottery. Land-based casinos could also be placed in the region, but this hasn’t happened due to the low population and somewhat isolated nature of the area. The purpose of this article is to talk more about sports betting, including the various types of wagers that can be made while staying in compliance with the law. One of the biggest drawbacks of the Sport Select service is the lack of bets on individual games. Due to Canadian law, all sports wagers must take the form of parlay bets, and all selections must be correct in order for the player to collect money. Another negative is the sub-par odds offered by Sport Select. This is largely due to the fact that the service has a monopoly on land-based sports betting, so they don’t need to be competitive in order to survive. This issue has resulted in a number of unsatisfied customers, with many serious gamblers taking their business online. But Sport Select has continued on, secure in the knowledge that the average customer isn’t informed enough to know that they’re getting inferior odds. Finally, there’s the matter of selection. Five different sports are available to be wagered on, but this leaves out a lot of athletic competitions. If you prefer to bet on rugby, auto racing, volleyball, or a number of other options, then you’ll need to look elsewhere. • Over/Under – A number is provided on your ticket, and you must decide if the final score of the game is going to be higher or lower. Predictions can be made on two to ten games, with wagers ranging from $2 to $100. • Point Spread – Players must factor the point spread into the equation, which adds points to the underdog and deducts them from the favorite. Two to twelve games can be wagered on, and bets range from $2 to $100. The more picks you get correct, the greater the amount of your payout. • Pools – For a fee of $5, you can enter into a contest against all the other Sport Select players in the Northwest Territories. All you have to do is predict the winners for an upcoming slate of games, and you receive points for each successful prediction. If your overall score is the highest when the contest ends, then you’ll walk away with your share of prize money. • Props – For each selection, two athletes in the same sport are pitted against one another. It’s up to the customer to predict who’ll have the better numbers in a measurable statistic such as hits, goals, or passing yards. The size of the wager can be from $2 to $100, and up to six selections can be made. • Double Play – This option allows customers to combine Over/Under and Pro-Line wagers on the same ticket. Three to six picks are required, and bets can range from $2 to $100. • Combo Play – Bet on a series of combinations for the same game using Pro-Line, Point Spread, and Over/Under. Combos can run from two to five games, and wagers run from $2 to $20. There are no laws prohibiting online sports betting in the Northwest Territories. As long as you can find a site that accepts Canadian players, you should be able to gamble without any problems. The Canadian dollar is widely accepted by most online casinos and sportsbooks as a valid form of currency, and the French language is also frequently supported. Due to its small population and distance from major Canadian cities, the Northwest Territories don’t have any major sports teams. There aren’t any minor-league teams of any consequence, either, so those hoping to wager on hometown sports should consider adopting one of the teams from a neighboring province such as Alberta and British Columbia. There are no college sports teams in the Northwest Territories. If your passion is wagering on collegiate-level sporting events, then you’ll need to look at neighboring provinces such as Alberta and Saskatchewan. Northwest Territories sports betting is alive and well, despite a general lack of athletic competition in the region. While the odds on these games aren’t the best, players can supplement their hobby with superior betting lines from online sportsbooks.